St. Croix – US Virgin Islands – April 2016 – Caravelle Hotel announced the opening of its casino. The casino opened on Friday, April 22 with a grand block party featuring music performances by local and visiting musicians. 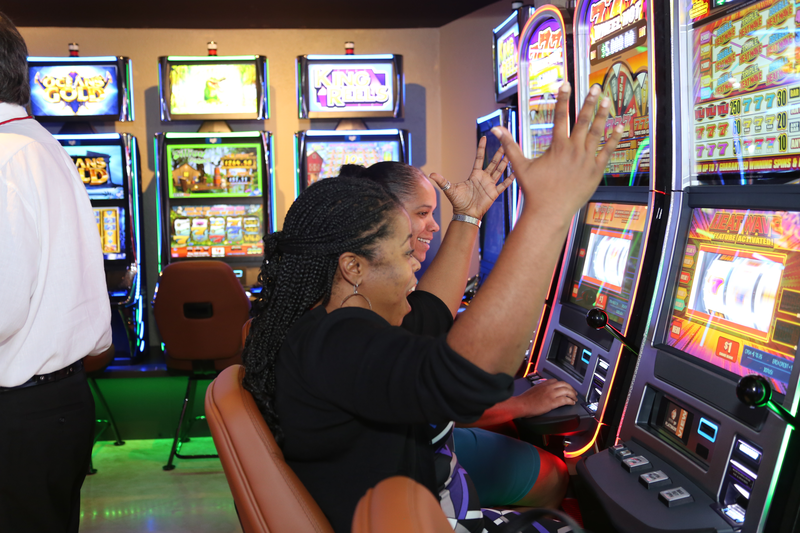 With the hotels intensive multi-million dollar renovations complete and the debut of the first casino in the town of Christiansted, Caravelle Hotel is bringing visitors back to the town and the island. The hotel was sold out the weekend the casino opened. “With our award-winning restaurant, our location, and our warm hospitality, the incredible renovations, and now the casino, Caravelle Hotel will attract new visitors to the destination.” said Sid Kalmans of Caravelle Hotel. The casino opened on Friday, April 22 with a ribbon cutting and a grand block party featuring music performances by Stanley and the Ten Sleepless Knights, The Express Band, The Dale Powers Band, and Kurt Schindler & the Drunken Dumplin's. The casino offers 71 slot machines and a service bar where drinks are complimentary to players. Valet parking is free of charge. The casino is open from 10 am until 12 am Monday through Saturday and noon-midnight on Sunday. Caravelle Hotel offers room rates starting at $119. Dive, sailing, and fishing excursions can be easily coordinated from retail outlets adjacent to the waterfront hotel. Caravelle Hotel is walking distance from the seaplanes of Seaborne airlines and 20 minutes from the airport, which welcomes direct flights from Atlanta, Miami, Charlotte, and neighboring islands including Puerto Rico, St. Thomas and Anguilla. Located in the historic waterfront town of Christiansted, Caravelle Hotel & Casino features 42 newly renovated guestrooms; waterfront dining at Rumrunners Bar & Restaurant; the Casino Bar; retail boutiques with a dive company, and a sailing charter; 71 slot machines; and event space. Caravelle Hotel offers online gaming for guests staying in the rooms. For additional information or reservations, call (800) 524-0410 or visit www.HotelCaravelle.com. For all media inquiries concerning the casino, please contact Janet Dembeck (340-514-0811).